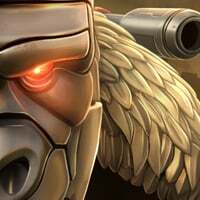 Which bot’s special is most diffult to bait/dodge? The rest should mostly be easy. Lol I assume you are always consecutive 100+ win on arena then. 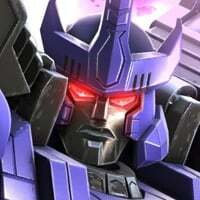 Btw, I am pretty sure you beat Revenge Of The King with 0 energon expenditure. Since I believe there is no shockwave there. 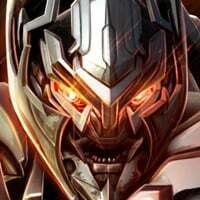 Prowl S2 is the only one that is difficult, and even that one is avoidable. None of the others are even in the same category. Ironically, the only 2 special attacks that are next to impossible to avoid if you are cornered aren't even on this list. The only way to avoid these if you are in the corner is if you time a sidestep absolutely perfect, and they happen to sail past you. 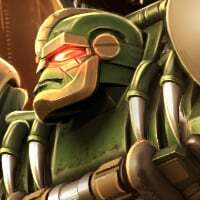 Can Hound, Rhinox or Tact Bee's sp2 be dodged when cornered? Never tried. Hah, beat me too it. Yeah... Prowls sp2 is super easy - it's just a back step then a back step. Shockwave sp2 is a back step, then two swipes down. DOTM Bee sp2 can be really hard if you don't have distance. Dinobot sp1 again if no distance can be tricky. Hounds sp2 is a sidestep, pause, sidestep, pause, sidestep before the grenade lands. Can be avoided in the corner. Rhinox can be back stepped in the corner but I'm not sure about the final blast. I only struggle with MV1 sp2 when cornered, Blaster sp2 I'm about 50/50. The rest I can do no problem. Looks like I learnt something new. 3.you can maybe beat revenge of king with 0 energy expenditure. I don’t know, again. Yeah but two quick swipe-down really relieve you from timing it right. Everything is dodgeable. Just got to know how. There was a thread along similar lines a few days ago, you can look for that. Prowl sp2, bludgeon sp2, mix sp2 is all covered. Granted some give more hassle than others (blaster sp2 still gets me now and then) but watch the pro’s and copy them. It’ll set you in good stead. Prowl's you back step right at the blasts. Wasp's you sidestep. The key with these is positioning. If they catch you while you're sidestepping or backstepping you're screwed. You have to be ready for them. Shockwave's spc2 you just swipe down a couple times after the first part. You'll laugh at how easy it is after you do this. Blaster's spc2 is horrid. When he charges I just start sidestepping and pray. I also have a difficult time with most of the listed bots and their specials. Bludgeon is easy to dodge his sp1 if you just stay prepared and keep distance. as soon as he fills his sp1 bar he usually tries to bate you in to dashing him. His sp2 just needs to be timed right. BUT his heavy attack i believe is broken because i do not see ANYWHERE in his description that says his heavy attack is a homing missile, and i have been hit by it and had it follow me after side stepping it. Watching that missile follow you when side stepping is kind of infuriating. Also i have had it happen when i am playing with him and i shoot the opponent and they side step. It will follow them and hit them. Revenge of the King without energon would be extremely tough. Apparently there are some that can do it, but I would think it is extremely hard to do. Rulers of Kaon is quite easy for people who have ranked up 5*'s and have a decent roster, but RotK is still exceptionally hard even with a good high level roster. 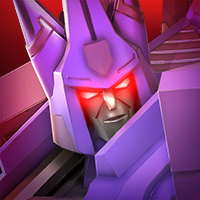 Shockwave is a swipe up for me to dash into the beam and evade. However, tact bee S2 is difficult. There are two blasts in that special that you need to sidestep. One in the middle and one at the end. In the corner It's basically backstep, backstep, sidestep, backstep, sidestep. If you have room you often only need one backstep at the start though. It's like trying to dodge a seizure. I hate that special attack. 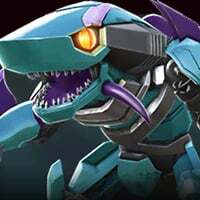 being cornered.. something I noticed in spotlight was cyclonus sp2... sidestep didn't work at close range..not sure if my timing was wrong but I could see my bot side stepping the blast but i would still get hit...like prowl's sp2. this has been happening to me too but I have managed to dodge it. I think it's just a weird timing. Hope the above helps. Having said that, knowing the theory is one thing, being able to actually do it in time is another. personally, I find Prowl’s SP2 and UM’s SP1 tricky. So if possible, I try to bait Prowl’s SP1 as much as I can, and just brute force UM till he yellow then bait. Since you have a Chinese nick, just wondering if you are Chinese? We have a Chinese community chat on WeChat. You can look for malijun293020 to add you in. Many Chinese alliances of different levels are in there and we all help each other out. NOTHING is unpossible. NOTHING! I never have you hurt them. KILL ME! I'll tell you one that is dam near impossible, is the tech shark”s #sp2.